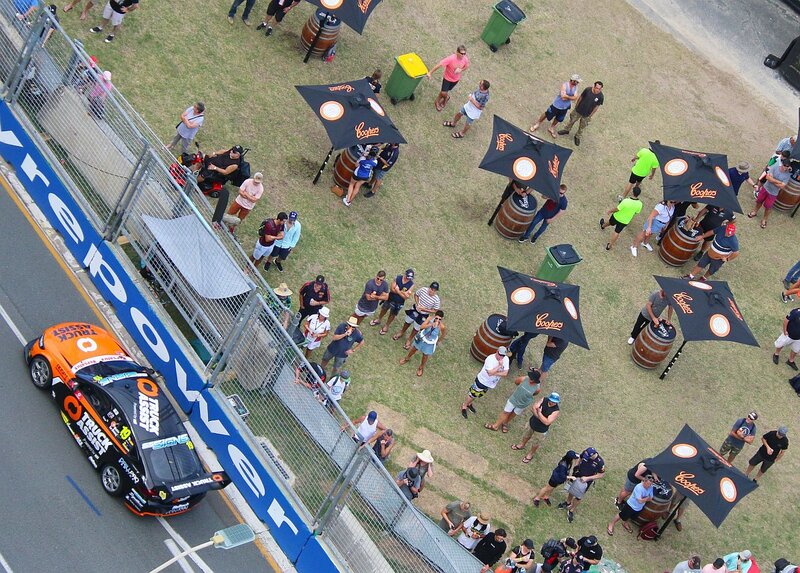 The Truck Assist Team TEKNO machine of Jack Le Brocq and Jonathon Webb had an up and down weekend on the streets of Surfers Paradise for the Gold Coast 600, with strong car pace a major takeaway from the event. A solid drive in the opening leg resulted in a 16th place finish, but early contact sidelined the car on Sunday. “It was a tough Sunday for us,” said Le Brocq. “Unfortunately I caused a red flag after getting stuck down an escape road in qualifying, and I wasn’t able to find reverse gear. “Jono started off the race really well and moved up a few positions, but had a bit of a tangle and broke a wishbone on the car. Fine Friday conditions played host to a trio of 30-minute-long practice sessions, with Le Brocq ninth fastest in the opener, Webb tenth best in the second co-driver only run, while Le Brocq managed the 20th best time in the red flag interrupted final session. Saturday’s action commenced with a sole 20-minute qualifying session, with Le Brocq battling understeer en route to setting the 22nd quickest time. Webb started the first 300km race for the event, and settled into 23rd position for the opening exchanges, with good work in the pits under the lap 23 safety car seeing the number 19 machine emerge in 17th place. Holding station until the lap 59 driver change, Le Brocq drove cleanly to register 16th position at the chequered flag. Sunday’s qualifying session unravelled for Le Brocq when he struggled to find reverse gear after an excursion down an escape road, with officials calling a red flag that relegated the team to a rear of grid start. Webb once again took the first stint on Sunday, and made strong headway in the initial exchanges until damaged steering sidelined the car to the pit lane after 18 circuits, prior to the heavens opening. The Supercars Championship now rolls on to the New Zealand leg at Pukekohe Park Raceway from November 2 to 4.